"Parents Must Immunize Their Children Or Go To Jail"
[Editor's Note: You need to click the link posted below to see the video clip from a local TV news station in order to hear the words of the vaccine promoters and the adults being used to push the vaccination agenda. You will notice in the TV report that there is not ONE WORD offered in defence of NOT vaccinating these children The only comments you get are from the reporters presenting the story and from the people they interview is that it's necessary to crack down on those delinquent and irresponsible parents are are unwilling to PROTECT their children with vaccination Well, "enough is enough" says Maryland States Attorney Glenn Ivey. He's going to haul these "irresponsible" parents into court and throw them in jail if they don't IMMEDIATELY comply with vaccination ORDERS from the school and state. Doctors and nurses will be standing by with syringes in hand ready to pump up those hapless little children with the mandated vaccines. 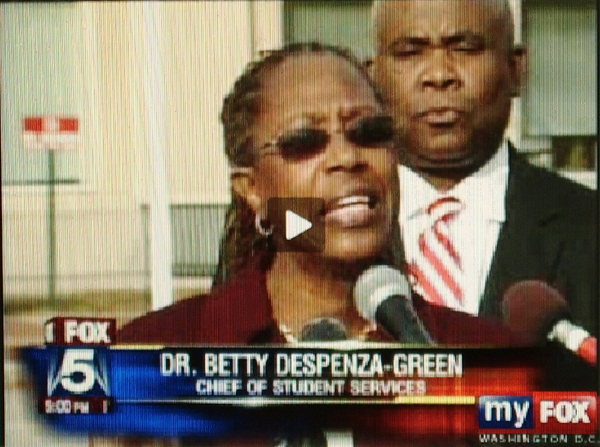 Working hat in glove with Ivey is Dr. Betty Despenza-Green, described as the Chief of Student Services. Speaking from the press conference microphone-which were set up right in front of the courhouse so there is no mistaking the threat implied-Dr. Despenza-Green wanted the TV cameras to know that " We need those students safe" Yea, right. Maryland States Attorney Glenn Ivey: "We can do this the easy way, or we can do this the hard way, but it's gotta get done." A situation in Prince George's County, MD. has attracted media attention and once again provided the platform for a propaganda push that falsely implies it is the law for children to be vaccinated with mass produced big pharma shots that are often not stringently tested and have been linked with dangerous side-effects. More than 2300 children in Prince George's County have been expelled from school for up to a month and a half because they have not received their shots for chicken pox and hepatitis B. This Saturday the parents of more than 1600 children have been ordered to attend Circuit court, where medical officials will be on standby to forcibly inject their children in a scenario befitting of a science fiction horror movie. "If the child is not here Saturday, then we will move on with the process, meaning that the PPWs and the counselors will put together the packet to take before the state's attorney's office, asking, requesting that criminal charges be implemented," Dr. Betty Despenza-Green, the chief of student services, said from the courthouse Tuesday. "We can do this the easy way or we can do this the hard way, but it's going to have to get done. I'm willing to move forward with legal action." 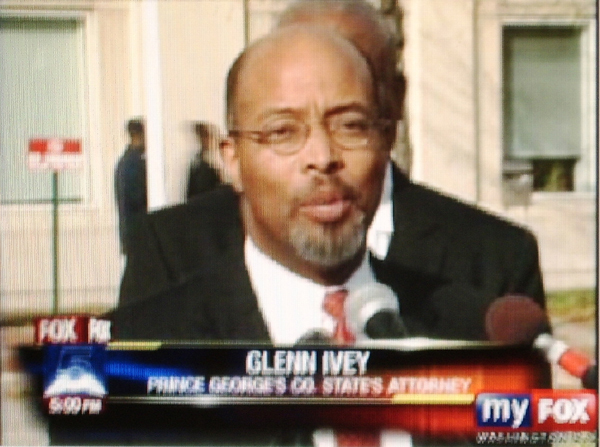 said State Attorney Glenn Ivey. Letters ordering the parents to show up at Prince George's Circuit Court for a court hearing and a free vaccine have been issued with the warning "unexcused absences by your child may subject you to a criminal charge." This report is completely riddled with errors and distortions from beginning to end. The Fox reporter states "A new law was passed last year requiring children from 5th through to 10th grade to have the vaccine". This is completely untrue. The vaccine has been mandated by the state but there is no law in the U.S. that requires mandatory vaccinations of any kind. The report mentions the waiver forms only after claiming that it is the law. How can there be a waiver form that allows someone to break a law? This is why the parents who do not comply will be charged not under vaccination laws (because there aren't any) but under truancy, neglect or child in need of supervision laws, which state that the parent is culpable after 30 days of a child's unexplained absence from school. The school itself triggered the truancy violation by unfairly kicking the kids out of school, and failing to inform parents about vaccine waiver forms. The news report quotes befuddled members of the public, who claim that kids not getting vaccinations endangers those that have had them. 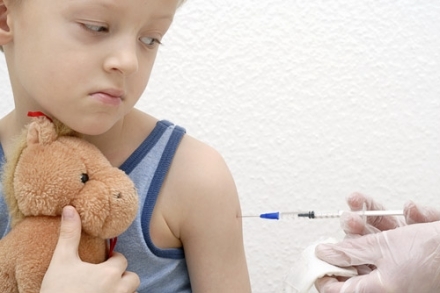 How on earth can that be the case if the vaccination is supposed to provide immunity against the disease? In reality, the vaccinated kids are more dangerous to others, considering the plethora of cases (http://www.prisonplanet.com/archives/vaccines/index.htm) where vaccines have induced debilitating side-effects as levels of autism soar to unprecedented levels. As in the case of all other vaccines, executive orders and court mandates merely state that the vaccine is "recommended," yet the mass media drumbeat constantly conditions people to believe that if they don't take their shots they will be kicked out of school, arrested and thrown in jail. This trick will continue to hoodwink Americans into taking all manner of dangerous and untested vaccines, the number of which rises every year, until they realize that there is no law that forces them to take any vaccine. Here is an example of a vaccine waiver form (http://edcp.org/pdf/896_form_revised_Dec-2005.pdf) , this particular one is for Maryland, the state in question in this case, proving that enforced vaccination is not the law and that personal and religious objections are applicable. http://www.vaclib.org/exemption.htm - Here you can find vaccine exemption forms online by state or country. The good news is that concerned parents across the U.S. are leading a nationwide revolt against unnecessary, untested and dangerous vaccines as CDC records (http://news.bostonherald.com/news/national/general/view.bg?articleid=1038831) show a growing amount of religious exemptions on vaccine forms. (http://www.firstcoastnews.com/news/local/news-article.aspx?storyid=95517) to dangerous side-effects. A media propaganda campaign along with an executive order issued by Texas governor Rick Perry has had parents in Texas and other areas of the country fooled into believing the vaccine is now the law and young girls must take it. Merck Pharmaceuticals are capitalizing on this fraud by making obscene profits from a crony deal (http://www.theeagle.com/stories/020607/texas_20070206006.php) with Governor Rick Perry, while children are put at risk. Peruse the plethora of examples (http://www.prisonplanet.com/archives/vaccines/index.htm) where vaccines containing mercury, live HIV virus, live cancer and other horrors have wrought misery after victims were bullied into taking them by government mandates that they were deluded into thinking was the law. The history alone, a legacy that led former director of the National Institute of Health Dr. James R. Shannon to state, "The only safe vaccine is one that is never used," implores us to stand up and expose this hoax and ensure that similar executive orders and mandates are not passed elsewhere in the country as a result of cynical greed driven lobbying and corporate crony payoffs. More parents across the country should rally to denounce this development, which sets the pretext for the state to dictate the health of their children, as well as moving us closer to legislation which would allow Americans to be forcibly vaccinated at gunpoint against their will during a time of manufactured crisis, such as in the case of a human to human bird flu pandemic. Listen to Alex Jones' analysis on this topic here. The minute your parents sign the birth certificate you are owned by this country. Owned at birth, they just feel you will do the best raising their property you signed over to them. If you don't do the best job, they always have child abuse places that will take back their property that you signed over to them at birth and put it where they think best. No one is really free. Braking the Chains of Redemption is probably the only way to free yourself and that is next to impossible. Margaret Pullen <margaret_pullen@yahoo.com> wrote: Be very careful. A met a pair of twin girls a few years ago. The parents said they had been vaccinated against flu, and the one daughter became immediately and permenately phycially very paralized. They had tired to get compensation. The drug company responsible, lawyers, and courts had all denied them any help! That daughter had to have full time assistance. There is genocide of Americans going on in America, more than once I have received verbal threats of this in CO these past few months. adkspoiledbrat <adkspoiledbrat@yahoo.com> wrote: It was just a matter of telling them that you have a religious exemption and it's no ones business what religion. Harmoni is in school and parents are not in jail. The law is a lie or at least can be worked around still. So there. Cheri <Davida_Q@hotmail.com> wrote: Hi Rubi & All, I attended a raw foods/juice fasting seminar where the chiropractor who was speaking told us that the government doesn't want to mandate vaccines by law because then they would also be liable for the side effects and deaths caused by the vaccines. So it is your free choice whether or not you want to vaccinate, and therefore YOU are responsible for the consequences. But we have all been lied to and coerced into believing that vaccines are required by law so that we will comply with the insanity. No Hidden Fees, Syringes and Vials Starting At $7.00 a Dose,Call Today"
LOL! Well, at least it matches the content of the P.P. article.